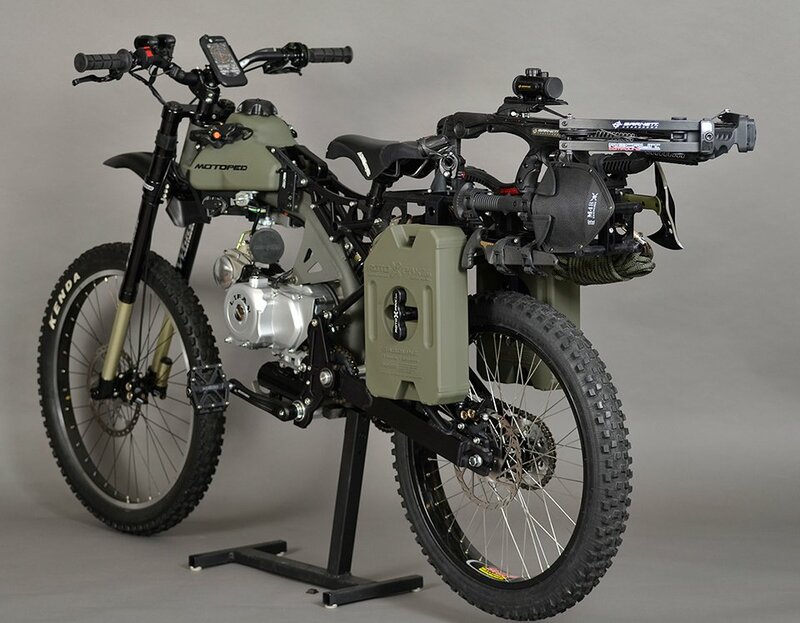 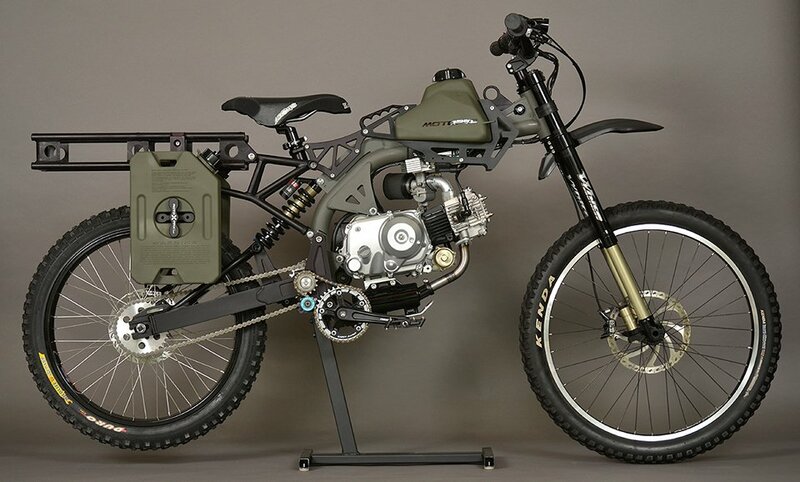 A hunting variant of the Motoped mountain bike-motorcycle hybrid. 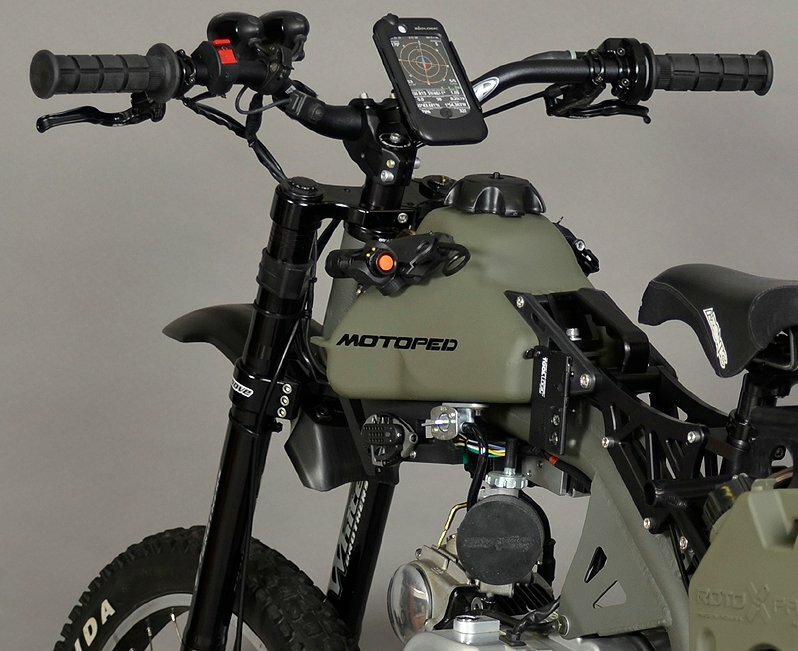 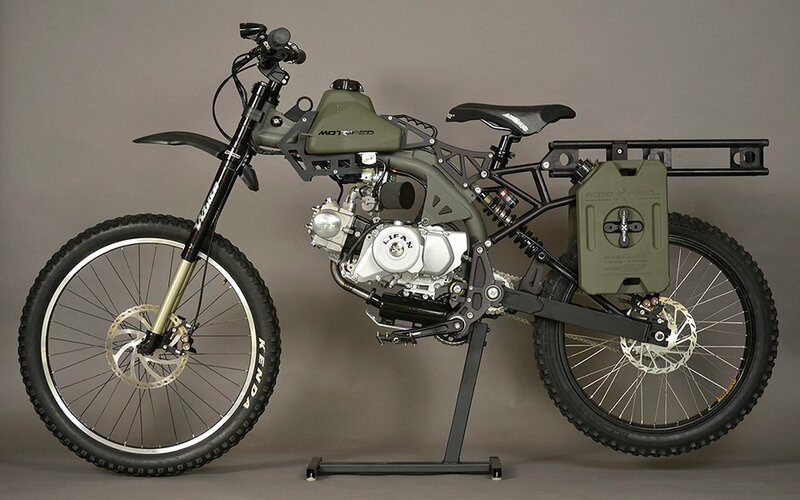 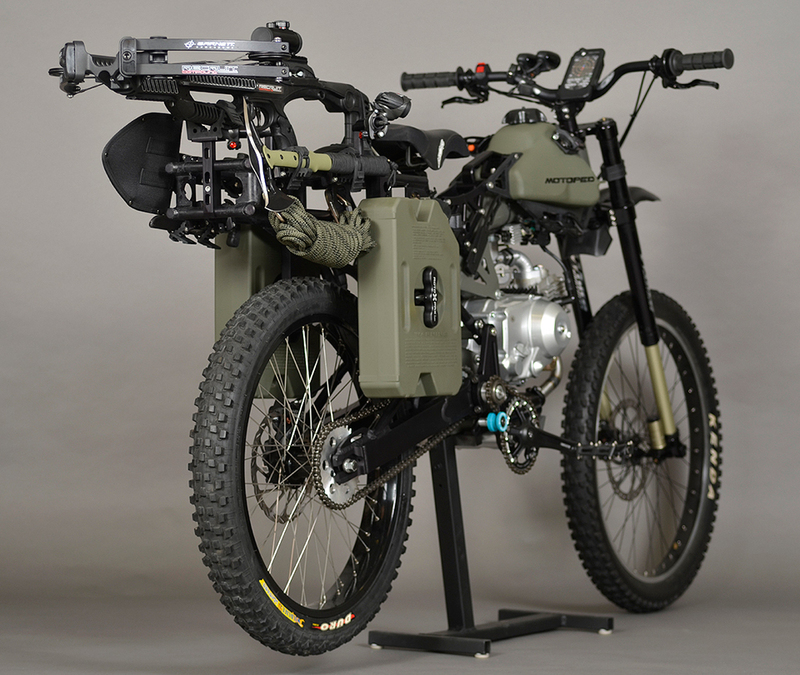 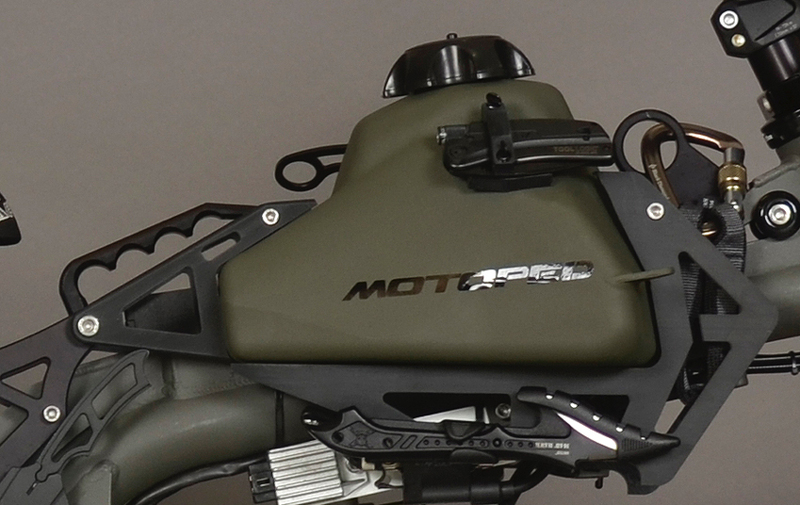 The Motoped Survival Bike has a custom frame and gas tank, a rear rack and a gas can. 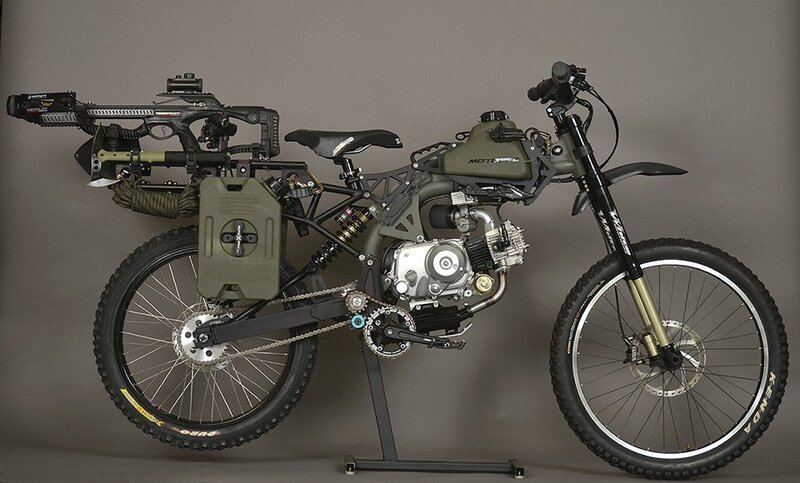 Optional accessories include multitools, ropes, an axe and even a crossbow.